I went on another 2 month hiatus. Sorry guys, let me fill you in. Well, school was ending but before that came the dreaded AP exams. These aren’t fun, especially if you procrastinate (let’s just say I read one of my chem practice book the day before..) or get anxious. For those of you who don’t know AP or Advanced Placement classes are taken in high school so students can obtain college credits with a high score. it’s out of 5, with 4/5 giving credit. Teachers can see what you got as well. Going to a small school where you’ll likely see the teachers multiple times a day, that part isn’t too appealing. Well, I got my scores back the other day, and let’s just say all the blood, sweat, and tears paid off. So after the exams, I took a break from life, living it up – watching movies/tv of course (what did you think?). My class schedule consisted of movies like the Pursuit of Happiness, Sixth Sense, and A Beautiful Mind. Of course I had classes to still work in, *ahem physics* but I got through. Thank God. Then came summer, and all those dreams I came into it with. I thought I was going to India, but nope. I thought I’d learn how to cook, but nope. You see, they just have all these new tv shows (Scream, Mr.Robot, Stitchers) and I can’t resist. But I must say also that at the beginning I was also observing the month of Ramadan, a Muslim month, that really helped me spiritually. If there’s anything I learned, it’s that everyone has struggles, and acknowledging them won’t do much unless you’re willing to still be grateful and work toward solving them. Then came the festival of Eid. Now Eid is kind of like Muslim Christmas where we eat like royalty and give/receive gifts (or money 😎). I don’t know about other people, but Eid is one of those where NOTHING can phase me. I feel like the best version of myself– the happiest. Everyone wearing the best clothes, putting their worries behind for one day, it’s beautiful. Now I’m going on a trip for like 3 weeks (but more on that later). I will surely blog about it, and afterwards I will be starting a new part to my blog – SENIOR YEAR. I don’t know how it’ll go, but my experience will be different than most because I’ve been going to my school for 13 years (yup, thirteen). I’ve already had some issues, but I’ll get through it I hope. I also hope to have a senior year bucket list. What should I include? Can’t wait to here back. Until next time. They say diamonds are a girl’s best friend, but how can compact carbon bonds (I’m obviously a chem student) give you more happiness than live, oxygen-breathing people? They simply can’t. A girl’s best friend is someone who has made a positive difference in her life. Some give you a good time, some help you dream bigger, and some are right there when you need them the most. For me, I have my share of great friends, but I can’t seem to find a better best friend than my mom. She’s a role model, an inspiration, and a warrior. Sure we have our arguments, but I know she loves me and I love her. My mom has been through more than most people and has had to deal with things no woman should have to deal with. From being told her second daughter won’t be able to walk (fast forward to that daughter winning regional science fair) to being forced to cook for others when in her third trimester with my sister. Nobody sees her pain, but I do. She may not show it, but everyday I can see her hurting. The way she handles it is inspiring, with patience, with reason. My mom is always there for me when I need her. I can go to her when I cry and rejoice with her when I’m happy. Sometimes I can be a pain, but as I get older I’m seeing that I never want to be the reason for her frown. My mom is empowering, and will choose her job of helping children daily over a 6 figure job because she cares about them and the world more than $. I can only hope to have the amount of wisdom she has now. She’s a trooper and I don’t know what I would do without her. She deserves the best in the world. I love you mom, more than you’ll ever know. I’m a relatively new blogger who has been swamped with finals and high school stuff lately. I may be young, but don’t worry, I’m old at heart. 🙂 WordPress has become like a safe haven and I want to meet new people and read about what they have to say. I can be opinionated and random, so feel free to check out what I have to say and comment. So I’d been thinking since I began 11 months ago about how I could help other bloggers grow their audience as quickly as I did. Y’all know how passionate I am about making a proper living from blogging already. I started doing Blogging Tips and then I wanted to offer online events that could help boost folks’ audiences. I had quite a few in mind but a busy schedule and some tough periods put paid to getting them up and running last year. But now…here is the first!Feel free to use this post to say hi and introduce yourself to other bloggers. Add links to your books, your poems, your enterprises. Tell folks who you are and what you blog about so people will want to check you out. Also go say hi to others. It is all key to growing your audience. Growing up in the suburbs, I was never a skinny girl. I played in my backyard and was active, but my mom cooked delicious food and I began to gain weight. I didn’t realized how I was becoming until one day I was with all my friends and we were talking about how skinny they were. I felt strange for a while because I didn’t really have a story to share, and then I realized that I was feeling something, something not unknown to me when I was there: The feeling of not belonging. The community I grew up in (not neighborhood, but centering around religious centers) was primarily South Asian immigrants and their kids. They weren’t really religious and frankly only liked to talk about others. They discussed marriage day in and day out and felt that it was more important than being happy with yourself. I wasn’t happy with their beliefs. They made marriage seem like the defining factor to be considered as a viable adult or complete in life. It wasn’t fair for a man to define your life. I was angry, and I felt alone, and then I realized what I was feeling. I didn’t belong. This feeling has come to me throughout my young life, as I was excluded from the cool groups in the second grade to being one of very few who wasn’t flexible in the fifth grade. Now the reason I’m addressing it is because, I feel at times that I live in an unknown world, and sometimes feel like I don’t belong because people don’t realize who I am. You see, I’m a Muslim, and I’m proud to practice the beautiful religion, but when I’m linked to horrible actions and discriminated because of someone who’s practicing my religion wrong, I can’t help but wonder. I don’t belong in this characterization. I didn’t do anything wrong. It sickens me to think about how people have labeled me as dangerous and flick me off when I merely appear. The world used to be such an accepting place for me, people used to be there for me. But now, I’m scared of what will happen to me. I’m scared of how in the next few years, people will see me because of these lunatics killing innocent people in the name of my religion. They’re completely wrong and I would call them out any day, but it’s not fair for some people to say I am the same. I am nothing like them, I will never be like them, therefore I don’t belong with them. I hate them as much as the next person. They have taken the lives of innocent people (someone’s mother, father, brother, sister, family), ruined the lives of those sharing the same religion (all 1.2 million of us), and made me lose faith in the inner human goodness. They don’t have hearts, and for that reason, I don’t want to be labeled with them. I want people to know that every Muslim they meet isn’t dangerous, honestly we’re all (the good ones) just here for the American Dream and to make a positive difference for society (like cure cancer, on my bucket list). I’m tired of living in an unknown world where I hide because of the labels I’m given and the way I’m spoken of (in the media, on Buzzfeed comments, in interviews). At the end of the day, I just want people to go talk to a Muslim at their college MSA or at a local center and see how angered they are by these people’s mistakes and horrific acts. We’re living in an unknown world now as we are all being judged for the actions of the terrible, terrible few and feel like there is no where to belong. Comment below if you feel the same way or share a story about a time you felt you didn’t belong. I can’t wait to hear them. I know you have dreams and I want to inspire you to dig deeper, think bigger. Those dreams take you places, all you need is focus, determination, and patience. I know you’re just trying to make a difference in your own life or the lives of others, whether it be by going to college, raising your family, holding your dream job, being yourself because that’s what freedom allows you to do. I know that life can be hard sometimes when tackling those dreams. Whether it be a death in the family, discrimination, bullying, health concerns, they’re all deterrents to your dreams. You just need motivation to continue, and I can say I’ve been through those things and I can help. I know you have interesting passions and hobbies like participating in politics, reading book after book, leading high school/collegiate level clubs, binge-watching tv show after tv show, blogging, poetry, and whatever else it is that you do. I know you’re good at what you do, and if you don’t realize it, I will help you. I know you’re not an easily identifiable group because you’re not all going to be of one religion, one age group, one country, one ethnicity, one gender, and that’s okay- it’s perfect actually. Diversity is key, no matter where you are. I want to learn from you, hear what you have to say about what I had to say. I want to know what you think of me. I want to tell you about pieces of my young life so far that have changed me, whether it be motivation, a tv show, an experience, a book, a person, a current event. Anything can make a difference in your life if you’re willing to take it. I want to hear what has changed you. What has changed your dreams. I will give you a load of randomness to make you smile, laugh, wonder, and ponder about. I will someday show you how my outfits look like and how I prepare for academic conferences. Just stay tuned! At the end of the day, I guess I don’t know much about you, but I know that you are a dreamer, and I want to make sure you don’t lose ever lose that. The Mindy Project: Yah this show was made for me. Mindy Lahiri is a phenomenal character and any episode with Tamra is probably going to be good. This week’s episode featured Tamra’s basketball team fiercely walk in while “All I Do Is win” played. Brooklyn Nine-Nine: My favorite character is definitely Captain Holt and Boyle, I mean they delivers the best lines so casually. Boyle: (sneaking up behind Capt. Holt and covering his eyes) Guess who?! NCIS: Los Angeles: For some reason, I’m not really fond of NCIS. This show is exactly what I needed, action, mystery, and relationships. Not just romantic ones, for example the friendship of Callen and Sam. My favorite character is definitely Deeks and I’m still rooting for Eric and Nell to finally happen. Undateable: Okay when I discovered this show, I couldn’t stop laughing. I waited earnestly for each episode because their lame jokes and cheap humor made sense. There was something nice about each episode and my favorite character is definitely Justin (his singing is perfect). Modern Family: You can’t really find a better show then this. Each character has such a quirky personality that you’d wish they all had a tv show. So that’s a lot for today. Comment below if you’ve watched any of these shows and want to talk about them. How I love the power of quotes. They are powerful, meaningful, and inspirational. My all time favorite, one that has been with me through thick and thin, is definitely something to live by, be inspired by. The message it gives is strong. That smile to the stranger on the train or the kind words of thank you to the person who held the door open for you make a difference. Everyone is going through something hard, something we can’t imagine for ourselves. They need us as much as much as we need them. Kindness is key in dealing with everyone, whether you know them or like them. It’s a universal emotion and doesn’t have a language. A smile goes a long way, as does a kind act. Go out and help others. Ask that old woman is she needs a hand crossing the street if she’s alone or volunteer at a disabled children facility. The world is aching but kindness is the medicine to numb the ache. Thank you Plato for these wise words among many of your wise words. I use this as my life’s motto. I usually have a collage of quotes on my wall, so if you have any powerful, motivational ones, I would definitely be interested. Such a philosophical question can only be answered in the depths of night. However, I’m known to be a pretty deep person. I once turned the situation of eating an apple into a highly constructed metaphor for life (ask at your own risk, it’s complicated). I’m a high school student who wants to voice my opinions in places bigger than my private school’s classrooms and dream bigger than I can ever perceive. I am really interested in oncology research, politics, and expressing myself, whether it be through my writing, my poetry, or my fashion. I believe that hope is an important part of life, and if I could help others gain it, I would feel fulfilled. To be honest, I haven’t been blogging for too long, but once I started, I knew this is for me. I like hearing about others’ views and things they are passionate about. I want to hear about their take on current events, their stories, and their dreams. I guess I’m big on dreams because that’s the only thing I have right now. And of course on tv, because I kept up with 40 tv shows last year (How I did that I’m not sure, but I’ll blog about the list soon). As I continue to write, I hope to write about things from college applications to fashion to life stories with a moral. I want people to see me as an empowered, young Muslim woman. I want to inspire others to speak up, loud and proud for who they are. I am inspired by many people, and after reading many blogs recently, I can say there are a lot of inspiring people I have yet to read about. This blog will let me just be me. This will let the world see who I am. I can talk to whoever just wants to talk and answer any questions you have about me. I guess in the end I’m just someone who wants to motivate others through hope, experiences, and randomness. I’m the kind of person who will make tons of agendas, to-do lists, schedules but usually doesn’t end up following them. My desk is filled with checklists that I have written new things all over. It’s because I like to do what appeals to my mood most of the time, and I can never anticipate my mood. All things aside, I do have 10 resolutions that may determine what kind of year this is for me. Get a haircut to shorten the current hip length of my hair. Make some more friends that don’t make me feel bad about myself & who I am. Scrapbook the memories I have grown to love from the past. Tell my parents I love them more often. Don’t judge anyone because I’m not in their shoes going through what they have to. Make sure people around me feel comfortable to be themselves with me. Just live, be happy because tomorrow won’t be a new day unless I want it to be. What are your resolutions? Comment below and maybe we can talk about how to accomplish our goals step by step. Have a potluck. No seriously, not only do you get a variety of food, but also everyone gets a chance to participate. At our party, there’s 11 people, so we have 3 main entrees (Chinese noodles, lasagna, manicotti), appetizers (8 layer dip), sweets (watergate salad, cake, cookies), and drinks (soda and punch). Have a set agenda with things to actually do. We have our piñata and games to play like Celebrity/Lunchbox . I attached the list I made to cut out for today’s game here: Celebrity Game. So how do you play? Fold the cards first and get into two teams. Round 1: You get a minute to go through as many celebrities/shows by giving clues and having your teammates guess. Keep count of how many both teams get right. After going through all of the cards (yes all), Round 2 comes. Here, you get a minute to give one word to describe the celebrity as your team guesses, so choose wisely. Then again, get through them all and then comes Round This time, you get a minute to act out as many celebrities as you can. This one can be difficult. One time I acted like I was ringing a bell for Kristin Bell..We also have headbands and taboo. Be creative with other activities. I have play dough at home so I decided to make a game where we will have partners and we will have to create something with our play dough (the host will say things such as cat or house while partner is in another room) and partners will have to guess. The duo to guess the most in 2 minutes wins. Start late, like 8 so you don’t feel bored and the guests will look forward to waiting for midnight. It is after all a pretty monumental moment of the year: the beginning of a new one and the end of an old one. Make sure to cater to everyone’s needs. At my party, we have people between the ages of 10 and 24, so everyone needs to somehow be entertained. Take pictures, you want to remember this as a good start to the year. You want to remember being surrounded by good people that love you for you. This is my take on a great New Year’s party. If you have suggestions, comment below and I can try them today. hope your parties and your New Years Day goes well. My one wish would be for snow, let’s hope it happens. I can taste the freedom. College, I'm coming. I was nominated by the great blogger from The Eleventh Letter and the equally unique blogger from The 13th Of May. I was nominated by the inspiring blogger from The Girl In Glasses. Check out her blog, it's the cooliest (Drake and Josh reference yo). 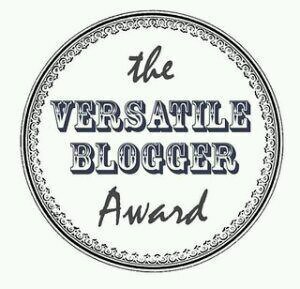 I was nominated for this award from the entertaining blogger from No Plain Janie. Files. Check her blog out!